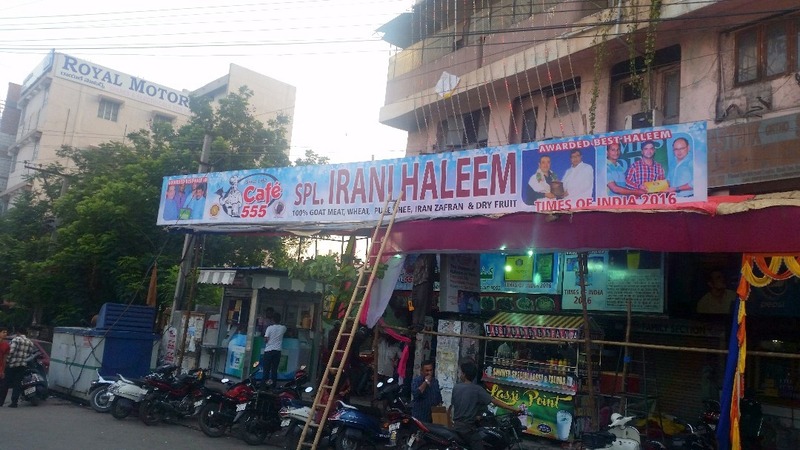 In recent years, one of the haleems which was much sought after in Hyderabad is that of Café 555. 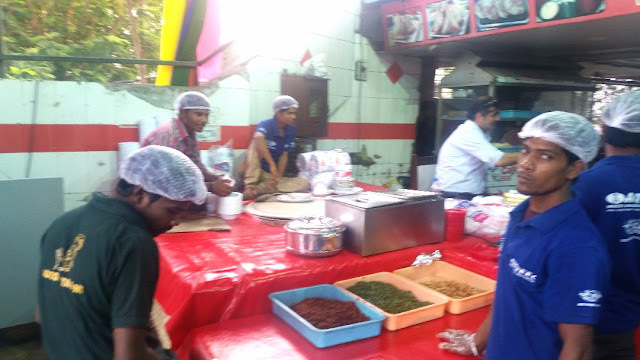 Tucked in a lane close to the Masab Tank flyover, this outlet had such a great word of mouth publicity by satisfied customers that towards the end of the season there used to be quite a queue there. Fortunately these days Café 555 has started offering their signature dish well before the Ramzan period. On a Saturday following Shab-E-Barat, I landed up at this place at 5:30 pm to try out the haleem. Though dusk was still quite some time away, a motley crowd had already gathered to taste the haleem. A plate of standard haleem this year is being offered at Rs 150. We immediately got hold of a plate and sat down to devour it. 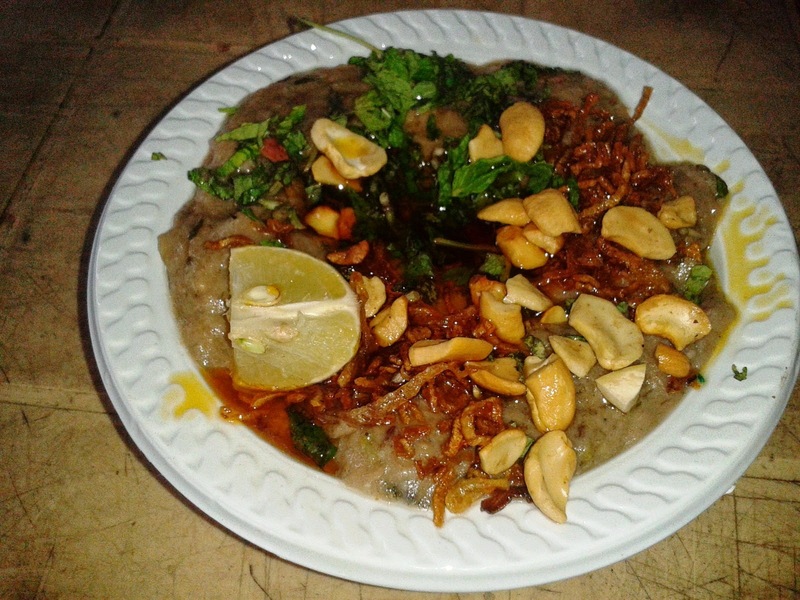 The haleem looked enticing garnished with cashew, mint, fried onions and liberal amount of ghee, as well as a piece of lime. The haleem here is usually on the spicier side, with an uniform consistency and perfect ratio of wheat and meat. This time however the spices were dumbed down a tad. The mutton bones were very few and the mutton in the haleem was adequate and soft. The aroma of the ghee and spices was pervading all over. The haleem was a little less spicy compared to last year. 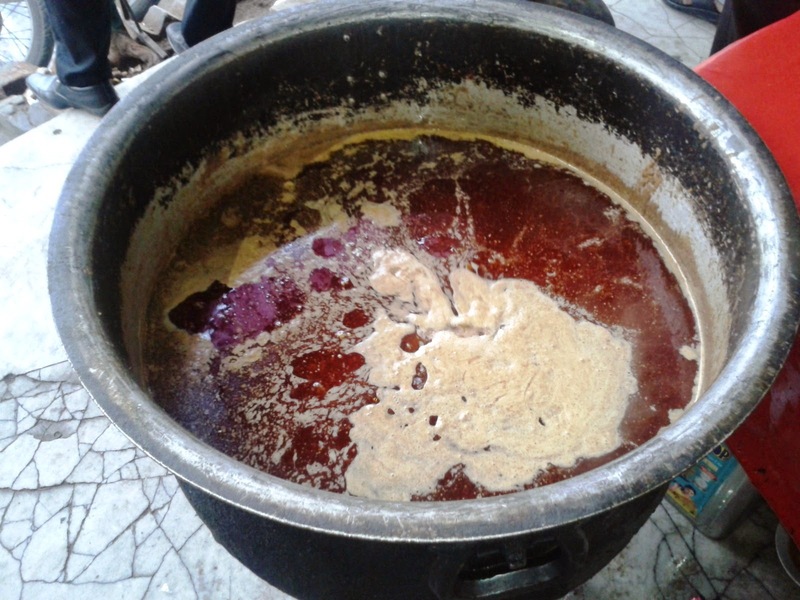 One word of caution though – some of you who like your haleem to be bland may find this a bit too spicy. For the more adventurous food lovers Café 555 also has a special haleem with jabaan (goat’s tongue) and few pieces of Chicken 65 added to it. Though I normally prefer haleem in its original avatar, I was told by the person at the counter to come back soon and try out the special haleem here. Larger packs for take home are also available. Location: Café 555 is very close to Masab Tank flyover. From Masab Tank Flyover take the road which proceeds towards Banjara Hills. Café 555 is inside the first lane to your left. Disclaimer: The feedback and ratings are based on sampling on a particular day. In many such outlets, taste is not consistent and varies from day to day and branch to branch. Great.. Heading there hopefully this weekend.. !